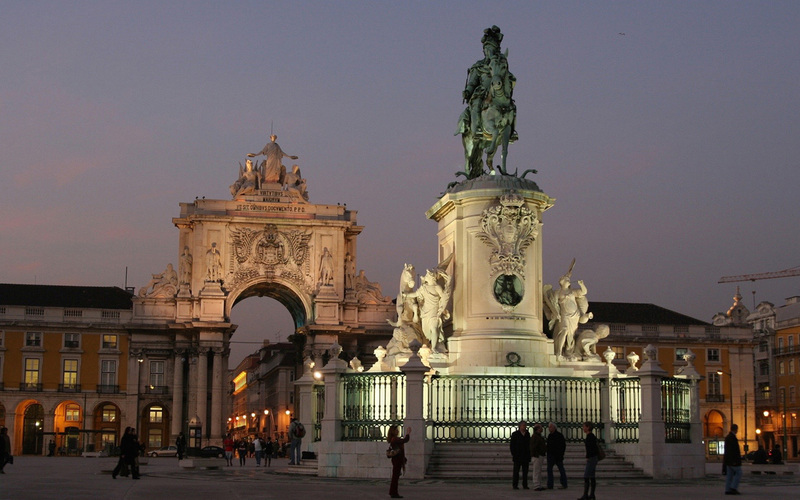 Rossio – Welcome to the heart of Lisbon! 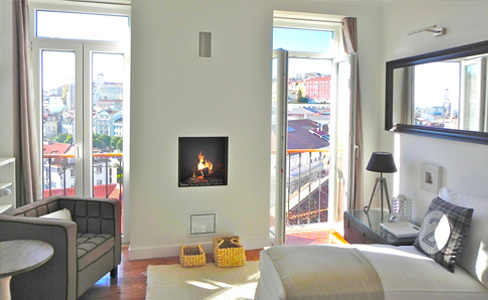 Our apartments are quietly located in the well known Lisbon Old Town district of Baixa, close to the famous Rossio Square, all attractions in walking distance. Nestled between the hills of the Alfama and Bairro Alto neighborhoods, the Old Town district of Baixa is right in the heart of Lisbon. 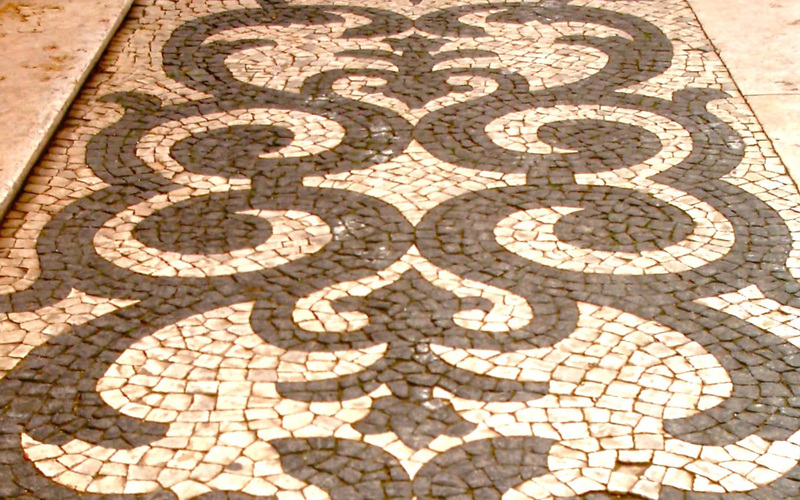 The Baixa was built in the middle of the 18th century according to the plans of the famous Marquis de Pombal. A bronze statue still commemorates its urban development. 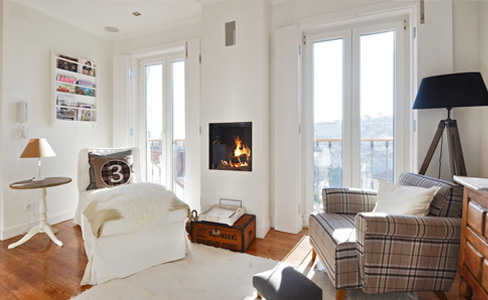 The main part of the Baixa district is Lisbon’s shopping mile – the Rua Augusta. 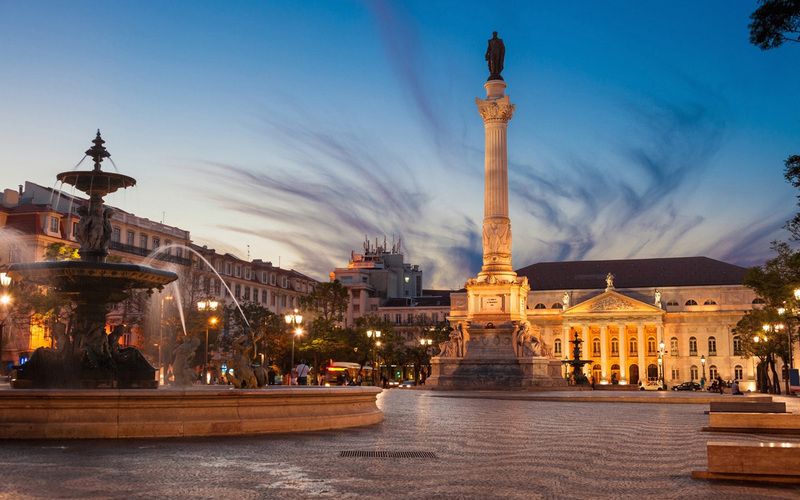 Starting at Praça do Comercio, the Rua Augusta, with its artfully laid Calçada mosaics, passes through many small specialty shops to the center, the Rossio square, with its beautiful fountains. Elevator da Santa Justa – Up, up, … and away! 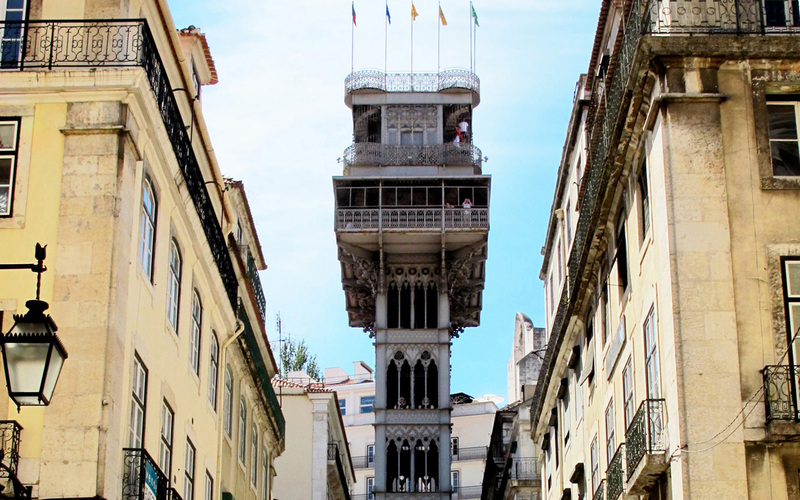 The neo-gothic elevator “Elevador da Santa Justa”, designed by the builder of the Eiffel Tower and built by his pupil, is also worth a visit. From the platform you have a breathtaking panoramic view of the city. 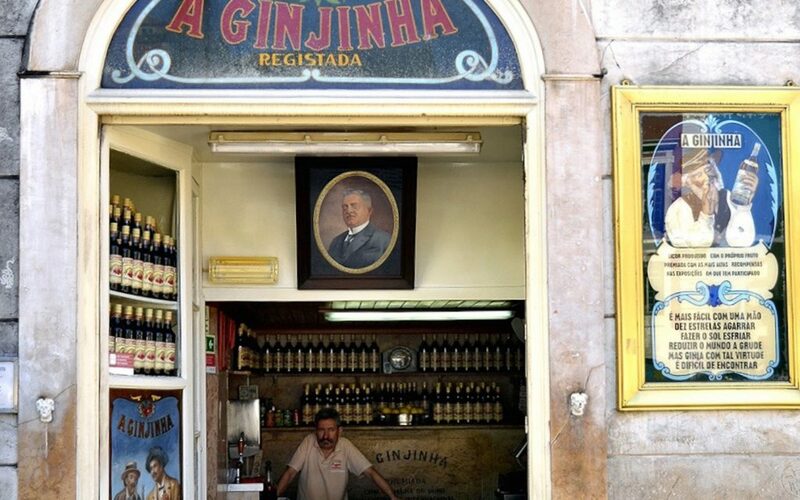 Next to the National Theater at Rossio Square is the famous Lisbon Ginginha (Cherry liqueur) Bar. An absolute must for every Lisbon romantic. 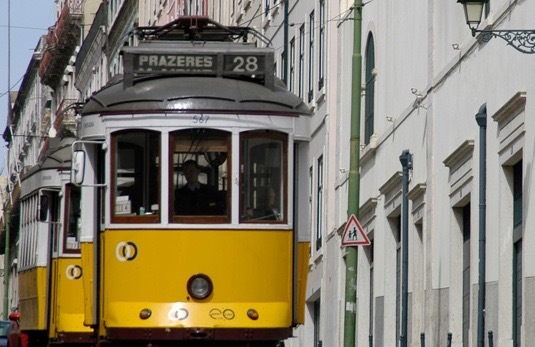 Just a few steps from the Rossio square is the stop for the famous Tram 28, known as “Èlectricos de Lisboa”, which has been in operation since 1873 for the “Lisboetas”. The nearby train station Rossio is also worth seeing by its impressive richly decorated manuelist facade. 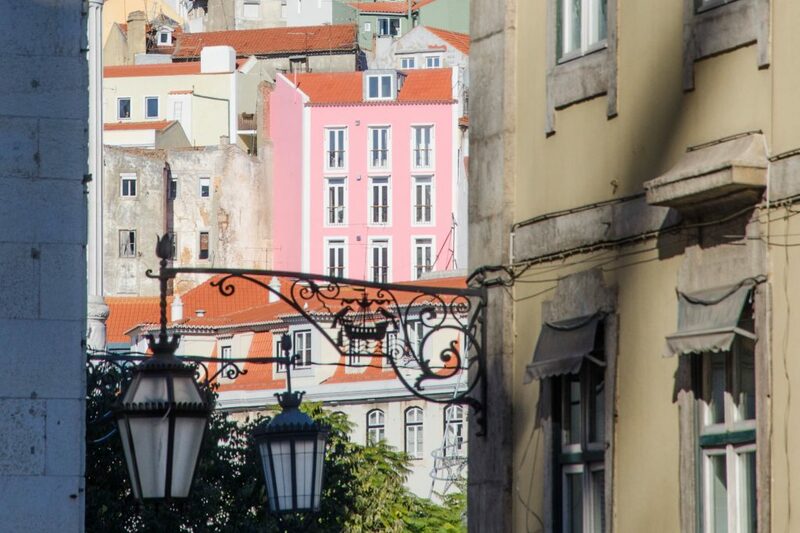 Next to Rossio square is the Avenida da Liberdade, Lisbon ‘s famous boulevard with many exclusive shops and Calçada mosaics. Various small traditional specialty shops, e.g. 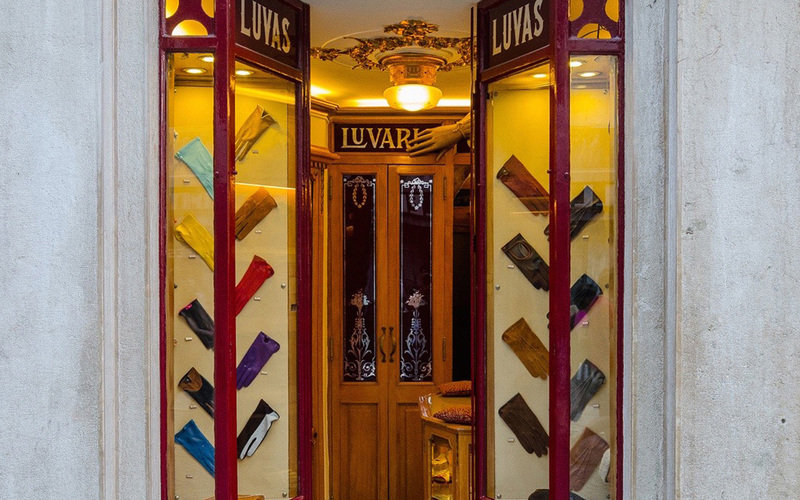 The “Luvaria Ulisses” with leather gloves in excellent quality, invite you to stroll. Noble gentlemen’s outfitters, hats, shoes, jewelery and specialty shops line your way here. Let yourself be surprised by the favorable prices. 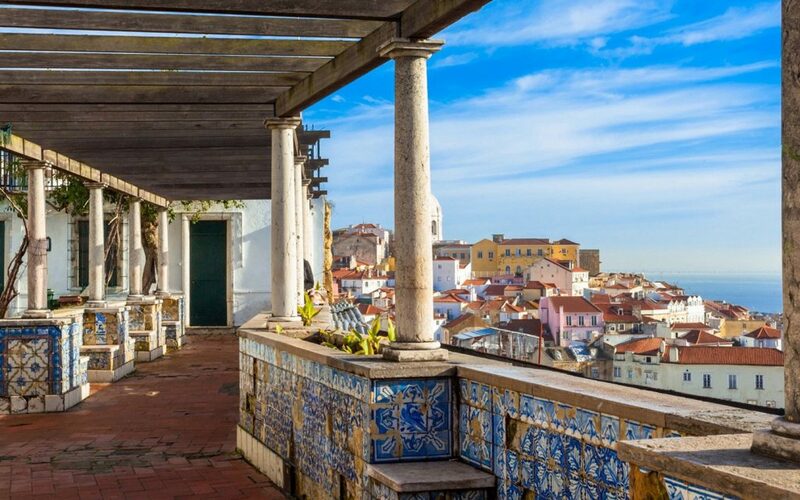 From the Miradouro Santa Luzia you have a fantastic view over the Alfama district, former quarters of the sailors at the Tagus river. 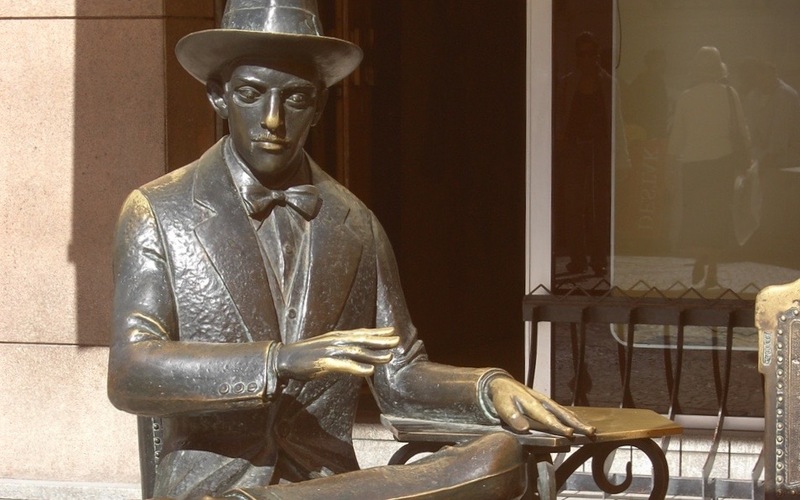 The Alfama is famous for its melancholic fado singing. In the narrow winding streets there are many small restaurants in which Fado is presented every evening. 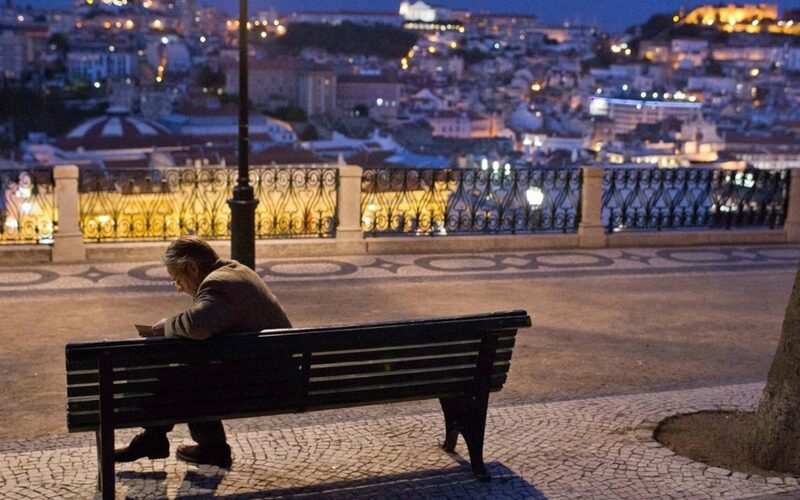 Book & Movie-Tip for Lisbon-Romance! 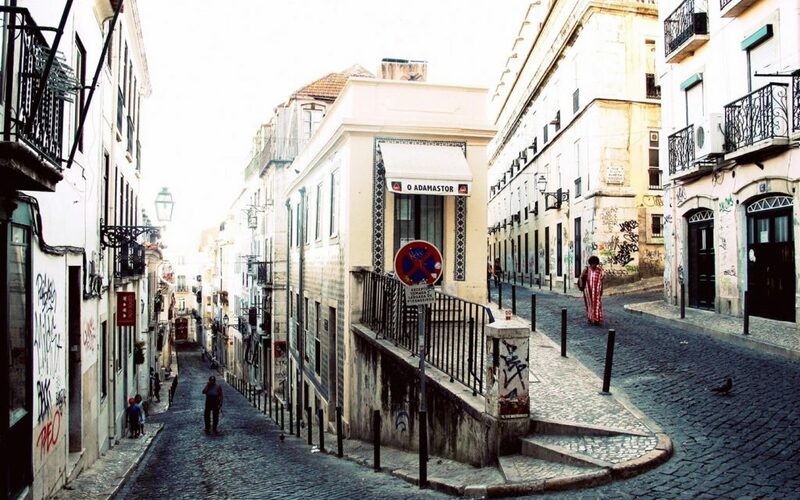 Walk along the romantic paths and squares of the famous cinema movie “Night train to Lisbon”. Everywhere you discover the original shooting places! On the sunny side of life! Many famous international artists, singers and writers have already been inspired by the cafes and restaurants around the Rossio square. “Uma Bica” or “Um Galao” is a popular start to the day. Lisbon is a young and vibrant city! In Lisbon you have to let yourself be driven to discover hidden beauties. On every rhinestone corner you will find new photo motives. The enriching influences of past colonial times are noticeable everywhere. 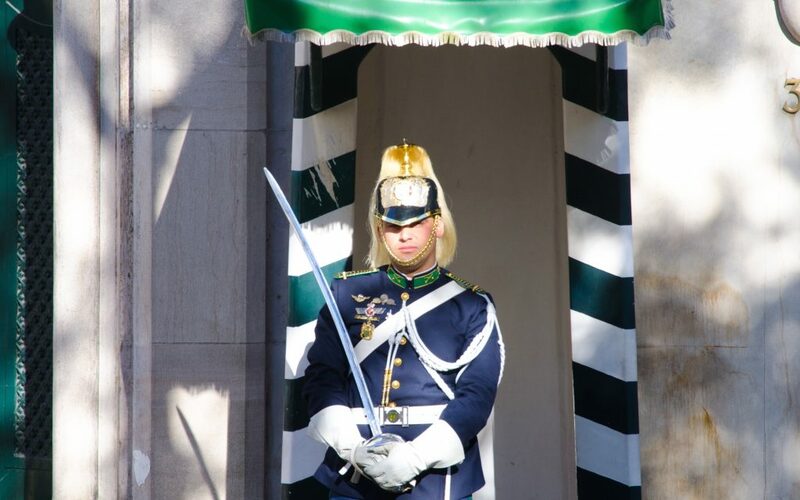 Lisbon – Europe’s safest capital! 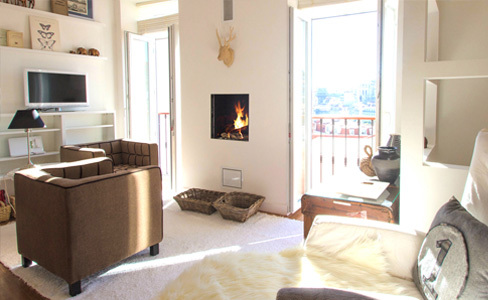 The Vila Santana is located in the heart of Lisbon!